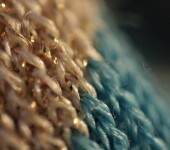 JETI is a strategic collaboration between the Ethical Trading Initiative, UK, the Danish Ethical Trading Initiative and the Ethical Trading Initiative in Norway. The MYPOD project works to improve productivity, work environment and social dialogue in Myanmar’s garment sector. 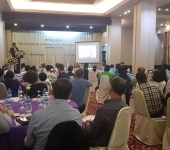 This week Just-Style.com released the article Myanmar Garment Productivity Project gains Momentum about the progress og MYPOD. Read the article here. By Ms. NuNu Hlaing, Local Project Coordinator in Myanmar. 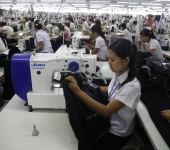 The three-year MYPOD project was commenced in August 2017 with the aim of improving the work environment, increasing productivity and occupational health and safety, and enhancing worker relation through dialogue in selected factories for the project in Myanmar’s garment sector. Read more about the progress of MYPOD here. AsiaInspection’s first quarterly report of 2018 show improvements on ethic compliance in Bangladesh’ garment sector. The improvements likely reflect the pressure from the industry that has been put on textile and apparel manufacturers in Bangladesh, particularly since the tragic Rana Plaza collapse in 2013, where more than 1100 workers lost their lives. This week in Yangon has been very special for the MYPOD project that work to improve productivity, work environment and social dialogue in Myanmar's garment sector. 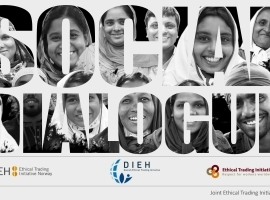 Since 2014 the Joint ETI has worked with improving social dialogue in Bangladesh’ garment sector. The project has been carried out in collaboration between the JETI, the Danish trade union federation 3F, the Danish Chamber of Commerce as well as 11 brands, whose supplier factories have participated in trainings on social dialogue. 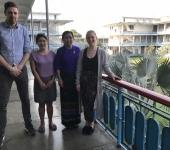 The Danish Ethical Trading Initiative,( DIEH), Ethical Trading Initiative UK, BESTSELLER, the Danish Trade Federation – 3F and Aalborg University have launched a new strategic partnership in Myanmar with funding from the Danida Market Development Partnerships (DMDP) fund. The objective of the project is to strengthen productivity, work environment and social dialogue in Myanmar’s textile industry. The Danish partners, Danish Ethical Trading Initiative (DIEH), BESTSELLER, the Danish Trade Union Federation, 3F and Aalborg University are pleased to be one in five partner consortia that has received an invitation by DANIDA to proceed with the development of a full project under the new DANIDA Market Development Partnership. DIEH, IEH, ETI, AAU, Bestseller and 3F is pround to be one of the five partner consortia that has been invited to proceed with the development of a three-year Danida funded project in Myanmar. MYPOD aims to generate more decent jobs, sustainable increased value addition and participation in the Myanmar garment sector through improved work environment, productivity and social dialogue in Myanmar's garment sector. This multi-stakeholder partnership highlights the complexities of ethical issues in the textile and garment industry and how these can be addressed through social dialogue. The initiative demonstrates how scalable, sustainable solutions created through a multi-stakeholder collaboration effort can be developed for the benefit of thousands of textile workers in the RMG industry. 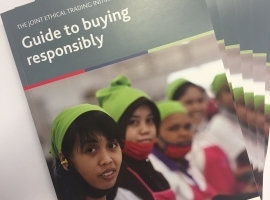 JETI Guidance for companies on purchasing practices, drawing on the findings of a collaborative supplier survey run in partnership between the joint ethical trading initiatives and the ILO, with support from SEDEX. The guide includes best practice examples and outlines the five key business practices that influence wages and working conditions.